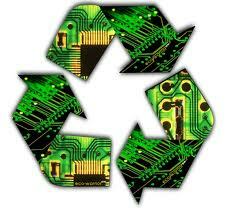 Securely recycle your old computers next Saturday, August 16, when Commonwealth Computer Recycling will be providing on-site hard drive destruction and recycling services from 9:00 a.m. – 1:00 p.m. at the Calvary Episcopal Church in Shadyside. Calvary Episcopal Church is located at 315 Shady Ave in Pittsburgh. CCR is Department of Environmental Protection permitted and an R2 certified Responsible Recycler. Portion of proceeds benefit Calvary Episcopal Church. Click here for more information. 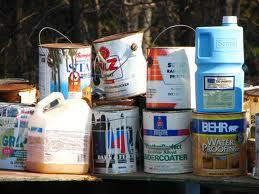 Do you have hazardous materials, such as paints, pesticides, and household cleaners that you would like to dispose of? The Pennsylvania Resources Council and Zero Waste Pittsburgh will be collecting these and other items between 9:00 a.m. and 1:00 p.m. on Saturday, July 27th in the 2nd Avenue Plaza parking lot located underneath the 10th Street Bridge in Downtown. There will be a $2 cash-only charge per gallon of chemicals collected. For more information about materials that will be accepted at this collection event, click here or call 412-488-7452. Can’t make it to the Zero Waste Pittsburgh event? PHCA volunteers will be taking items to turn in, and we can take your items too. Polish Hill residents can drop off collection items and the $2 per gallon collection fee (cash only) at the PHCA office on Friday, July 26 between 11:00 a.m. and 6:00 p.m. This is households only — no businesses and no large quantities. Please note that items will only be accepted on Friday — our office will be closed on the day of the collection event. Leaking or broken containers should be wrapped in thick plastic so that contents are completely contained. For more information on dropping off items, call 412.681.1950, or email us. Many Polish Hill residents have very old paint, solvents, and other chemicals in their basements. If these items are put out in the trash, they end up in a landfill, where they leach into the soil and water. A better disposal option is to take items to a special collection event. A PHCA volunteer will be taking a truckload to the Zero Waste Pittsburgh household chemical collection event on Saturday, May 4, and we’re offering to take items from other neighborhood residents as well. Polish Hill residents can can drop items (anything from the list below) at the PHCA office on Friday, May 3 (not before). You’ll need to give us cash for the collection fee (these events charge $2 per gallon), and we also ask for a small donation for the service that we’re providing. In return, you get the peace of mind that these toxic items are no longer in your home! Aerosol cans; automotive fluids; batteries; chemistry sets; compact fluorescent light bulbs; gasoline; kerosene; household cleaners; mercury; paint products; pesticides; herbicides; photo chemicals; and pool chemicals. Zero Waste Pittsburgh charges a fee of $2 per gallon, cash only, and you’ll need to pay that when items are dropped off. We won’t be accepting items until May 3, and then it’s household items only — no large quantities such as from a business. To protect our office, staff, and volunteers, please pack your items carefully. Bulbs should be in closed plastic bags. Any leaking, or bulging containers should be placed in another container, tightly sealed and clearly marked (not a plastic bag). If you have any questions, call the PHCA at 412.681.1950 or email us. Other items not accepted at this collection event include ammunition; appliances, bulk waste; commercial and industrial waste; compressed gas cylinders; drugs; explosives; flares; fluorescent tubes; leaking containers; medical waste; PCBs and dioxin; tires; and radioactive materials (including smoke detectors). For more information about this and other collection events, visit www.zerowastepgh.org or call 412-488-7452. 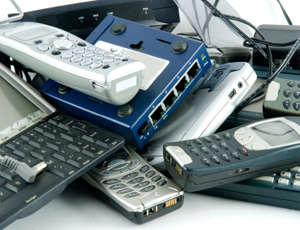 There will be a free electronics recycling event at the Calvary Episcopal Church, 315 Shady Avenue in Shadyside this Saturday, April 20 from 10:00 a.m. to 1:00 p.m.
One exception: televisions will not be accepted at this event, but LCD and plasma tv’s are welcome. On-site hard drive destruction will be available for $10 per drive. 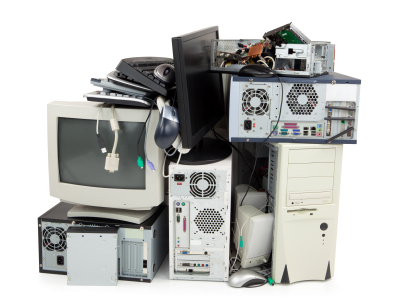 Although recycling is free, they will be accepting small donations for certain items: $10 for monitors, and $5 for computers, VCRs, DVD players, stereos, printers and fax machines, and other consumer electronics. For more information, call 866.925.2354. The Allegheny County Department of Parks is again offering its Annual Christmas Tree Recycling Program this holiday season. Residents of the county can drop off their Christmas trees beginning on Wednesday, December 26, 2012 through Saturday, January 19, 2013 at all nine regional parks during regular hours of operation (dusk to dawn). Construction Junction’s weekly newsletter (sign up for it on the website) has a cool event for kids 3 and up who still need to get a Mother’s Day gift. 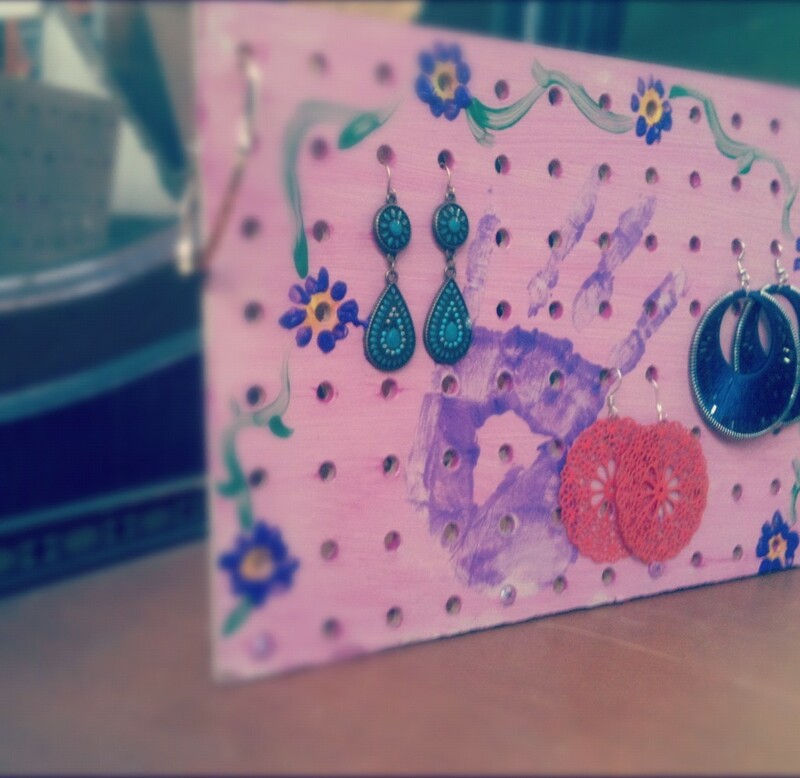 This Saturday, May 12 from 1:00 p.m. to 3:00 p.m., kids are invited to stop by to make an upcycled earring holder for Mom. The earring holder is constructed from a 9 by 12 inch piece of peg board and could also be used to hold craft supplies, tools, and gardening supplies too! No registration is required, just stop by. This seems like a good time to mention another great place which is an offshoot of Construction Junction: Pittsburgh Center for Creative Reuse. Creative Reuse is to art/craft materials what CJ’s is to building materials — full of useful, reclaimed stuff, where you can donate or purchase just about anything you can think of. Just browsing through the jumble of materials and fun stuff gets the ideas flowing. Creative Reuse also offers classes and workshops. This is a fun place to go with kids, and a good way to teach them about recycling. Creative Reuse is located at 214 North Lexington Street, around the corner from CJ’s, and is open 11-6, Tuesday – Sunday. 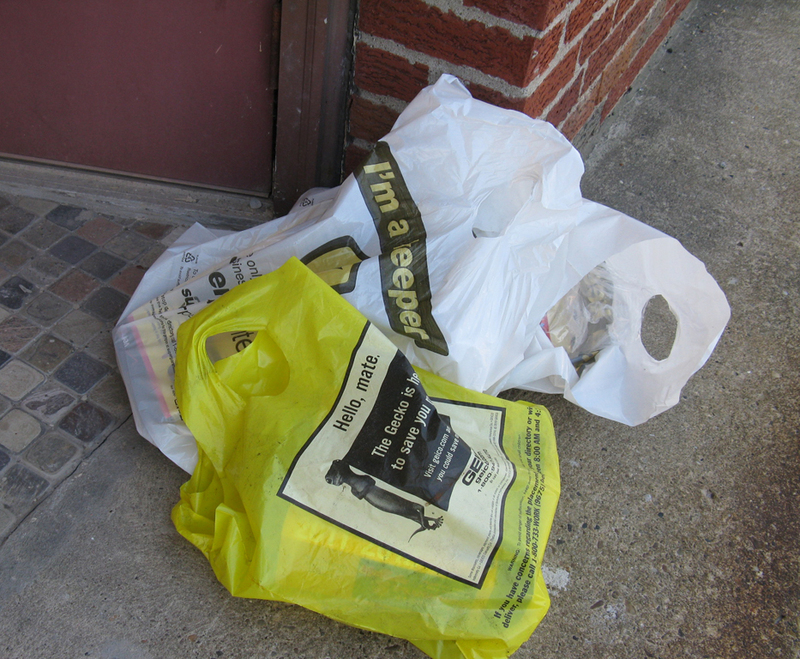 Don't trash unwanted phone books — let us recycle them! One of the few unwelcome signs of spring is the appearance of unwanted phone books. According to the City of Pittsburgh trash collection schedule, phone books are recyclable, but many people don’t seem to bother. What a waste of time and resources. Not everyone needs or wants new phone books each year; lots of people don’t use them at all anymore. But each year thousands of phone books are printed and delivered. Many sit outside rotting for weeks, creating an eyesore, marking empty buildings, and littering the neighborhood. It would be so nice not to have to clean up this mess every year. With enough public pressure, companies might be motivated to come up with a ways to identify the people who actually want a phone book. Would it really be so difficult to only distribute what was needed, instead of regularly blanketing neighborhoods with instant trash? Until that day comes, please put unwanted phone books out to recycle. Or bring them to the PHCA office, and we will take them to Construction Junction to be recycled. If you have some extra energy, look around your street and collect any that are still sitting out. And if you’re really feeling energetic, contact these companies and ask them to do things differently. 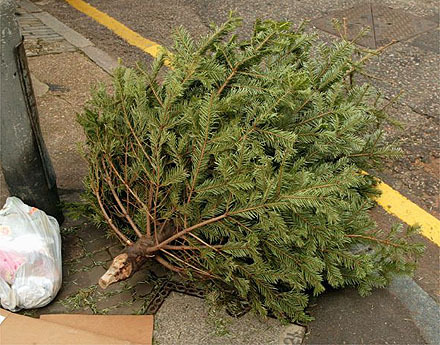 Instead of trashing your Christmas tree, drop it off for composting! The trees cannot have ornaments, lights, or stands and cannot be in plastic bags. Please be aware that trees left at the curb will be collected but not composted. For more information contact the Pittsburgh’s Recycling Division at (412)-255-2631.